Even with a regular paycheck, it can be a squeeze to pay off your loans while still taking care of your monthly expenses. On top of that, you’re busy enough already — you can’t take on another job or side hustle to help pay down a mounting balance. Fortunately, there are ways to make the most of your job and all the benefits it provides to help you. 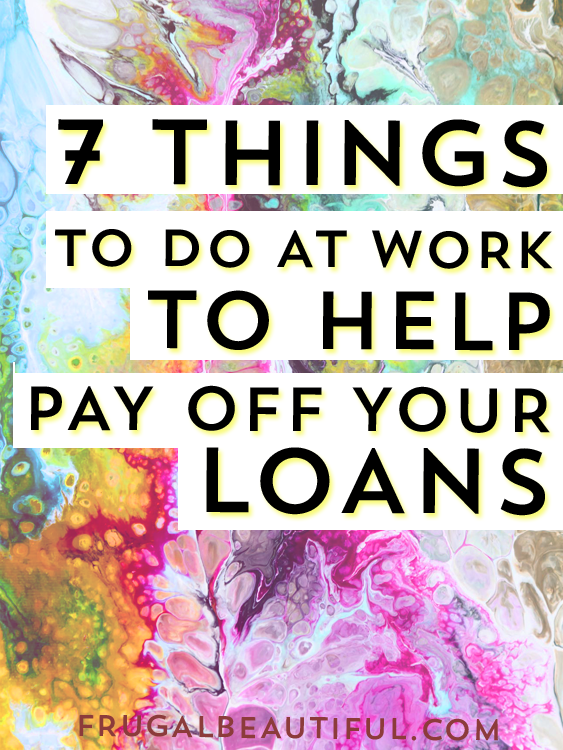 You can do the following seven things while you’re at work to help the repayment of your loans. You chart the same course to your workplace every day. That routine has allowed you to find your favorite places to stop along the way, from the coffee shop in the morning to the Chinese takeout on the way home. However, these habits can end up costing you big bucks. The average American spends $3 a day, or $1,100 per year, on coffee alone. By driving different roads, you will be less tempted to stop and more likely to brew your coffee at home and prepare dinner each night. And the day when you pay off your loans is just that much closer. Once you’ve chosen a new, temptation-free route to the office, you can start working on your lunchtime routine. How often do you go out to eat for lunch? How much of your change goes into the vending machine for a snack? These habits, like your coffee shop visits, can seriously add up. So, come up with a weekly menu of easy-to-pack lunches, buy the ingredients and prep your meals. You can carry along workplace snacks, too. Either buy them in bulk and keep them in your desk or bring a new one each day. No matter what, you’ll feel satisfied and energized throughout the day. As exciting as it feels to get an extra-large return, it’s a sign you’re not filing your taxes correctly. Think about it — rather than sending off a too-large portion of your income to the government each month, you could have more cash with which to pay down on your loans. The best thing you can do is to calculate your withholding as precisely as possible. Most people will mark that they’re single or married and let that be the end of their filing. However, if you take the time to figure out just how much you owe — this could be as time-consuming as preparing your return — you can hold onto more of your paycheck and put it to good use sooner. There’s no harm in asking your company if they provide any aid for employees repaying their student loans. You never know. They might be willing to help you out, particularly if they fund continuing education or grant other academic-based credit to their staffers. And, if there’s no money to be had for your loans, you might discover some benefits from your company that’ll help you save cash elsewhere. For instance, some provide a credit for your gym membership, free public transit passes and matching for your savings and retirement plan. All of that will add to your bottom line. If your boss can’t work with you on your outstanding loans, they may be willing to help you come up with a plan to work smarter and save more. For example, if your commute requires a lot of fuel, parking or public transit costs, ask if you can work from home a few days per week. Prove you’re a hard worker, and you’re likely to get the chance to try an alternative, money-saving work style. Then, put the cash toward your loans instead. There’s no one-size-fits-all repayment plan to pay off your loans, and you might find a different option suits you and your lifestyle better. There are adjustments you could make based on the money you make. An income-based repayment plan considers your salary and caps your repayments at 15 percent of your discretionary earnings. If you keep up with the payments on this plan, the balance might be forgiven after 25 years — 10 if you work in public service. Keep in mind that your payments might ebb and flow depending on how much you make, too. A pay-as-you-earn plan works similarly, but you wouldn’t pay any more than 10 percent of your monthly income. You can only opt to join this plan if you received money from your loan on October 1, 2011, or later, and if you had new borrower status on October 1, 2007. With on-time payments, your debt could be forgiven in two decades, less if you’re in the public service. That work piling up on your desk won’t finish itself. If your company offers overtime pay, take advantage of it for two reasons. The first is obvious. If you make more money, you’ll have more to funnel into your loan repayments. Second, spending more time on the job means you’re less likely to go out and spend the dough since you’ll be busy at the office. If you try this out, be sure to respect your limits — don’t overdo it. The stress can just lead you to spend money on shopping, drinks or other feel-good items that can break your budget. Spending more money won’t help you pay off your loans! These are seven ways you can make the most of your workday, but they’re by no means the only simple methods for saving more and paying off debt. 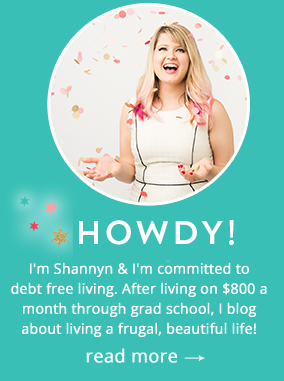 The more hacks you take on to pay off your loans, the quicker you’ll be living debt-free — and that’s incentive enough to get started. Nice tips! Changing the office route will help save money at least for some days until you find the new things en route. Another great tip is doing overtime; doing so, a person will have relatively less time to go out and spend. However, I feel it’s better to engage in an enjoyable activity to reduce the urge to go out and spend. Often people spend out of boredom. And, it’ll be easier to stay focused and repay debt. Thanks for the comment Nelly!